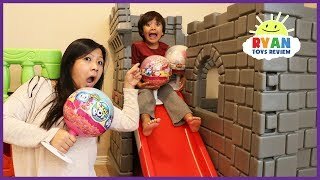 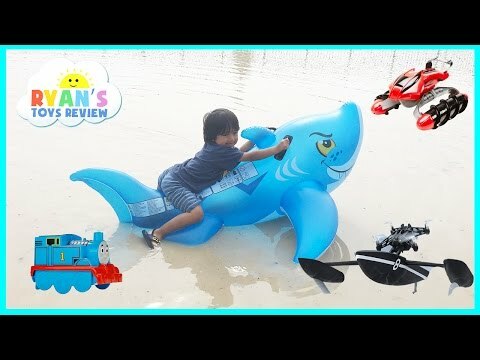 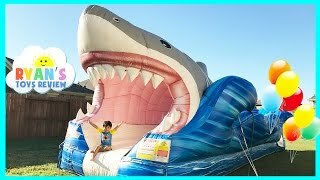 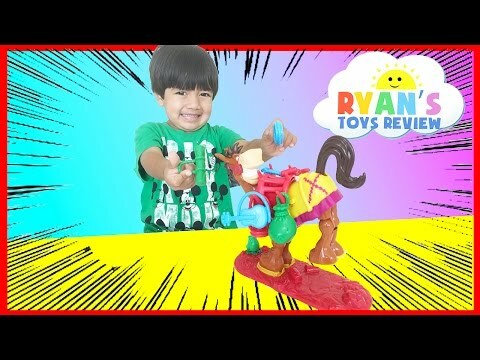 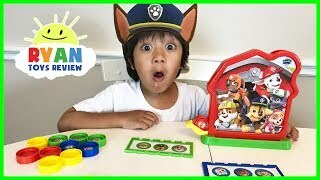 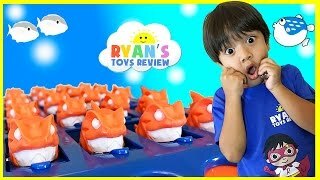 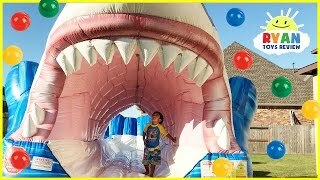 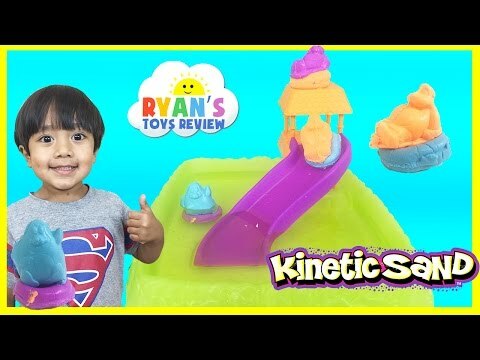 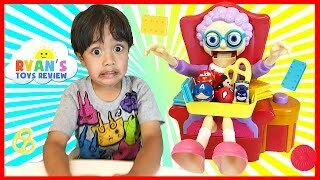 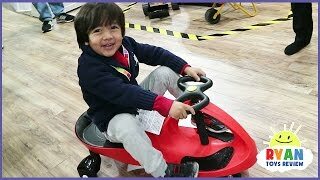 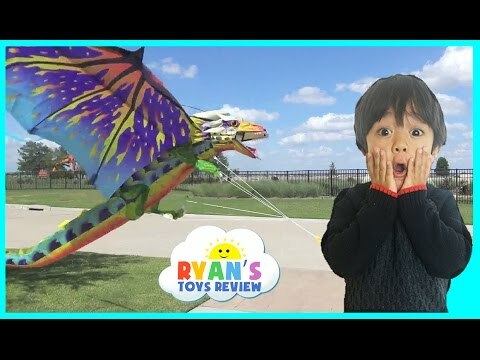 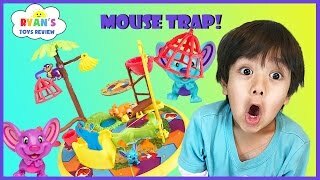 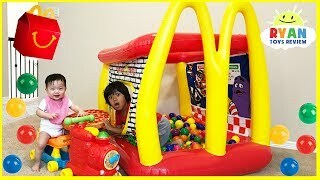 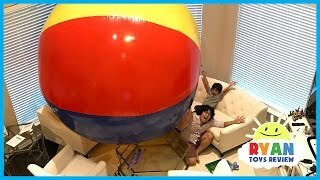 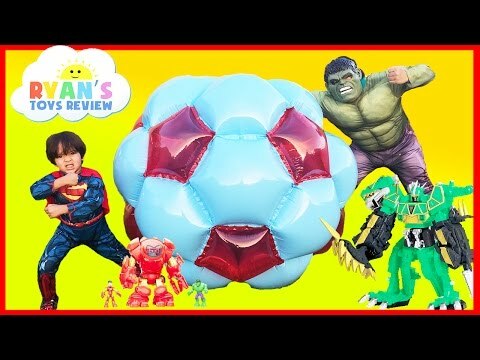 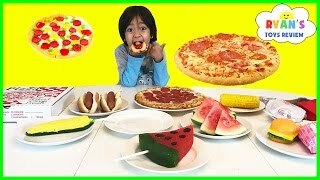 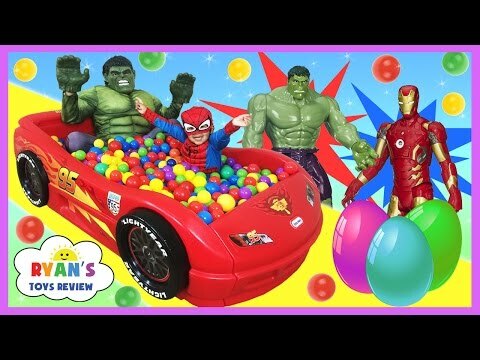 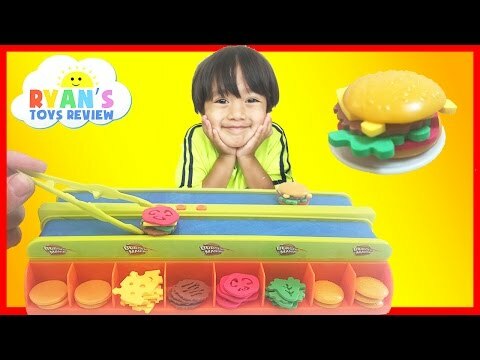 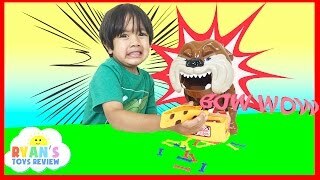 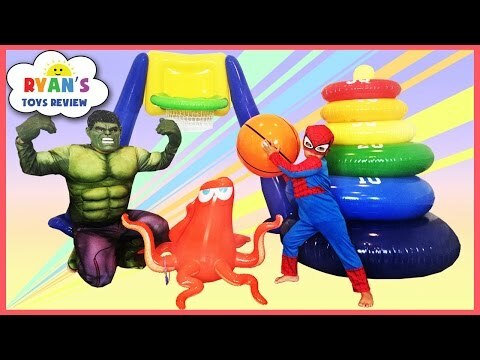 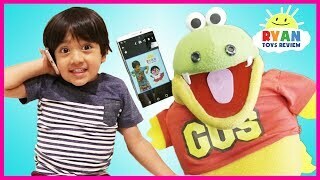 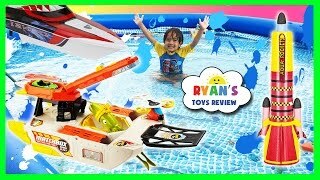 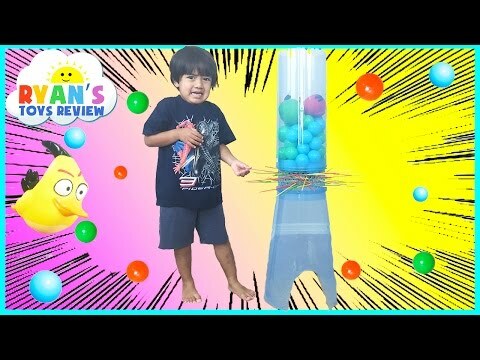 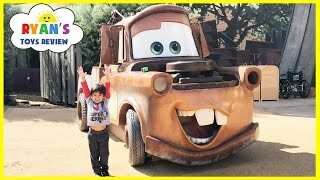 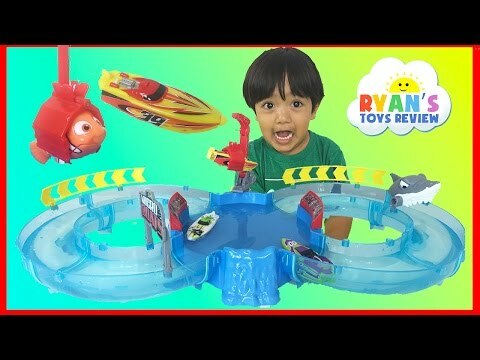 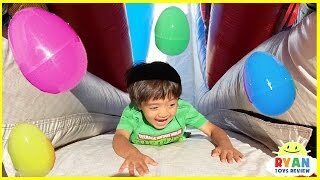 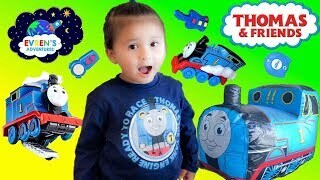 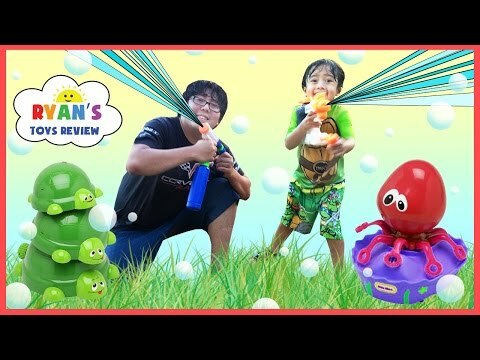 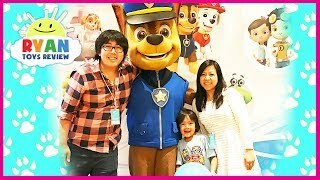 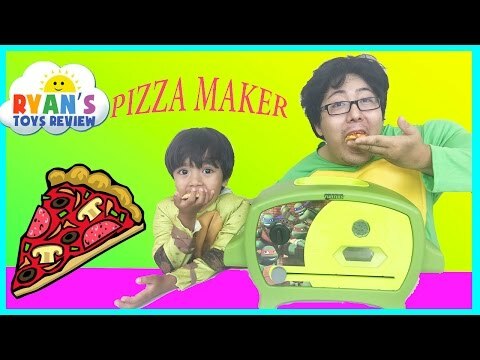 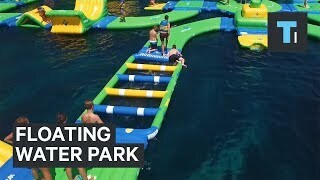 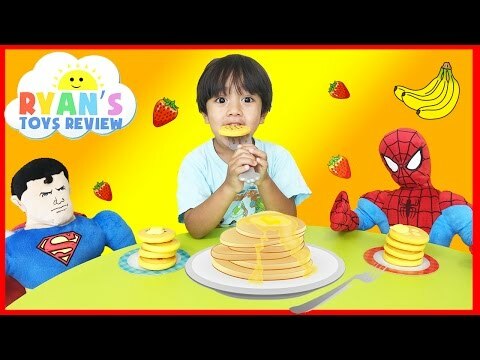 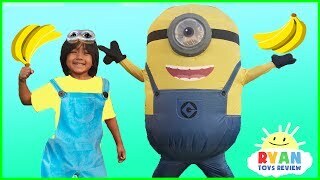 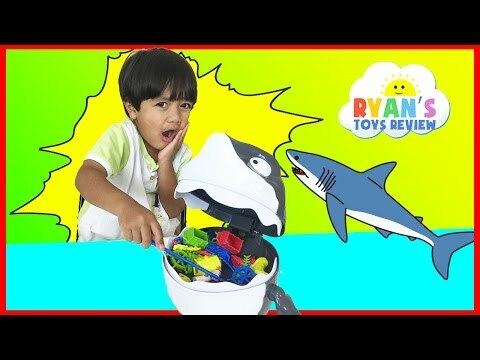 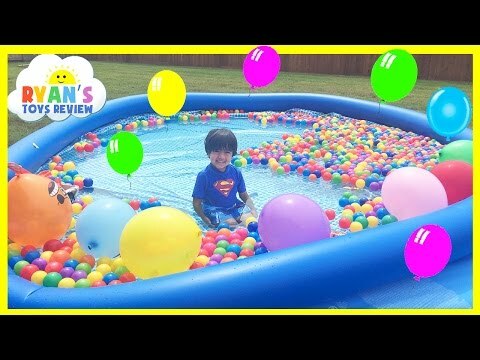 Giant Inflatable Water Slide for kids with Pool Party Giant Floats Food and Family Fun water toys with Ryan ToysReview! 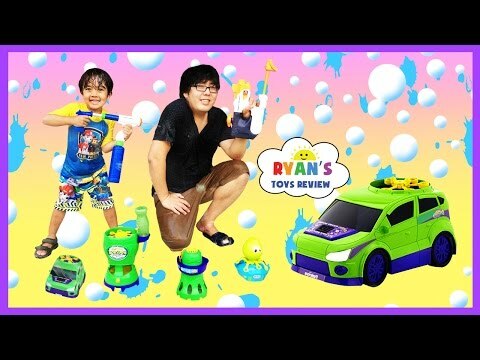 Ryan's Family had a fun with Inflatable Ride-ons floats like giant donut, giant hamburger, giant hotdog and more! 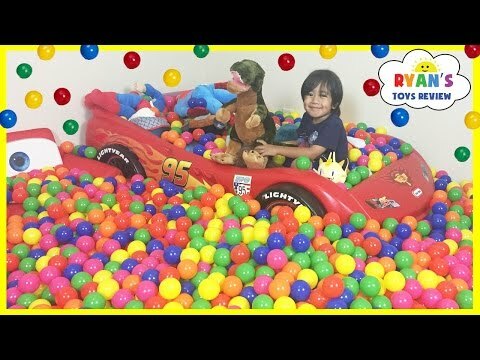 There's also water toys like Disney Cars Lightning McQueen float, water balloons fight, kiddie pool, water helicopter toys and more! 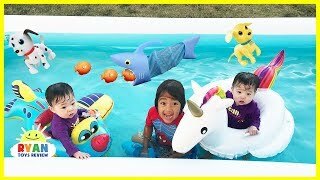 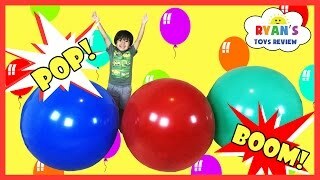 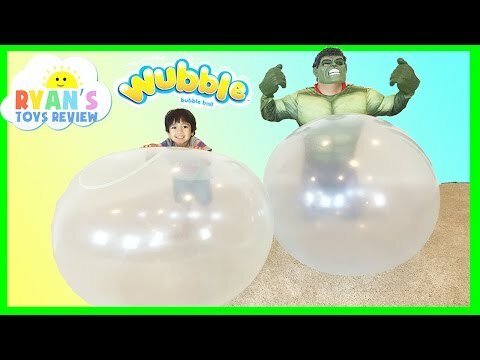 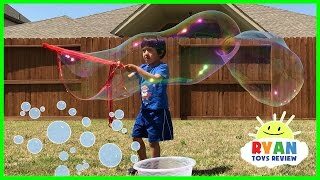 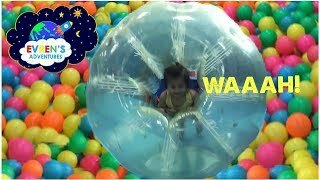 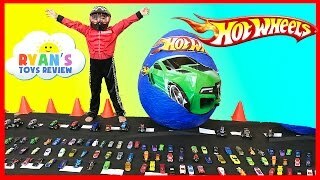 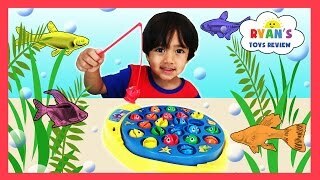 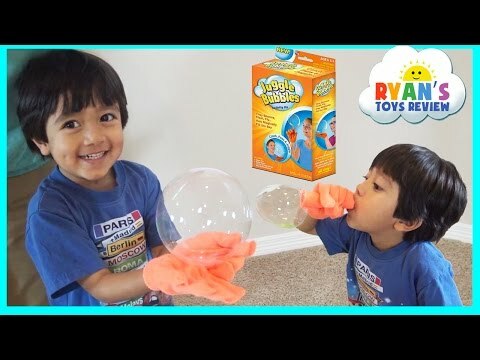 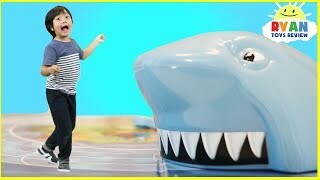 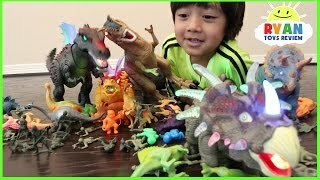 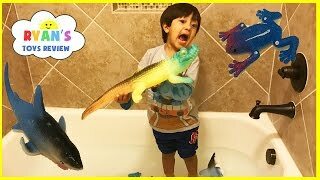 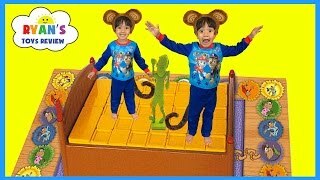 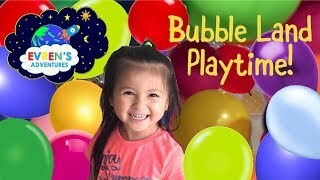 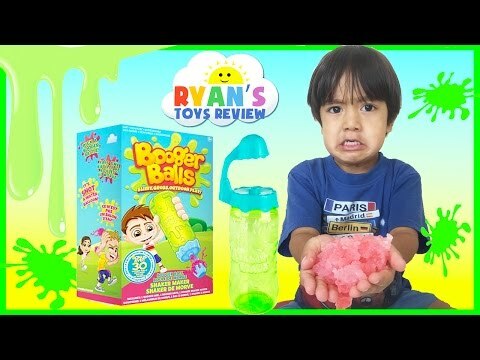 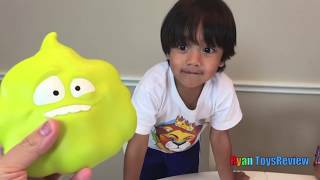 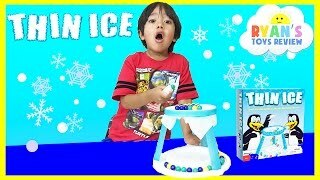 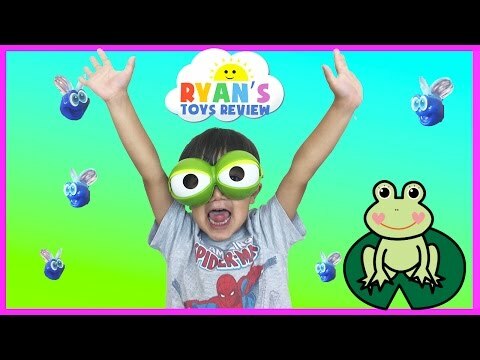 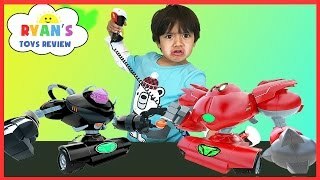 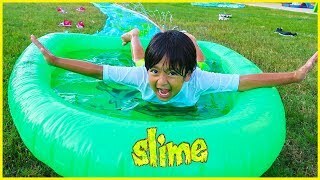 Great Kids Video for children who loves playing with inflatable water toys! 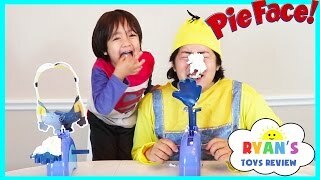 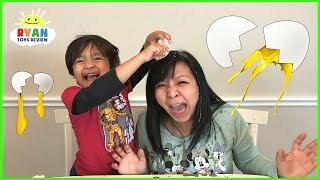 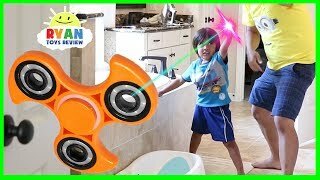 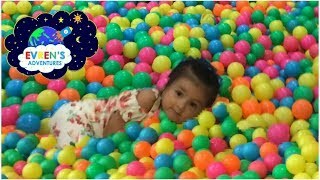 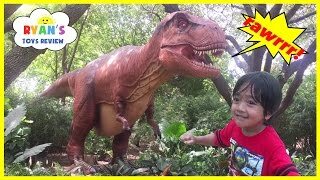 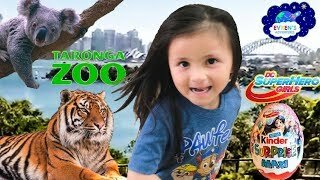 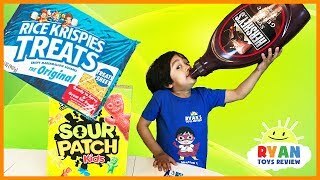 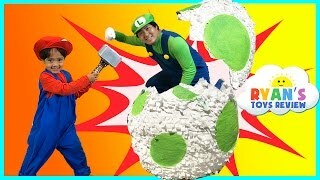 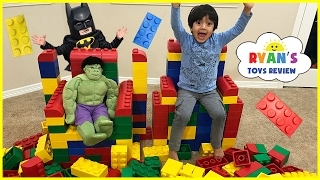 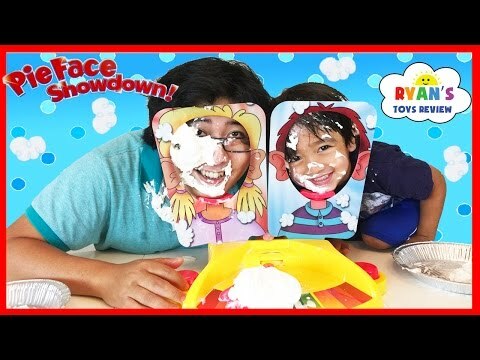 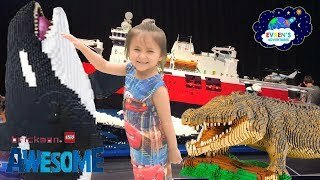 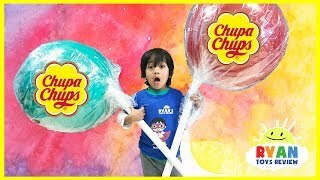 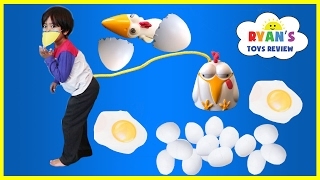 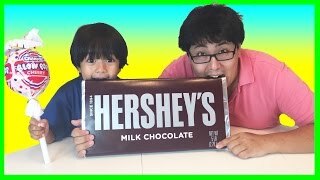 Fun children activities for the whole family!